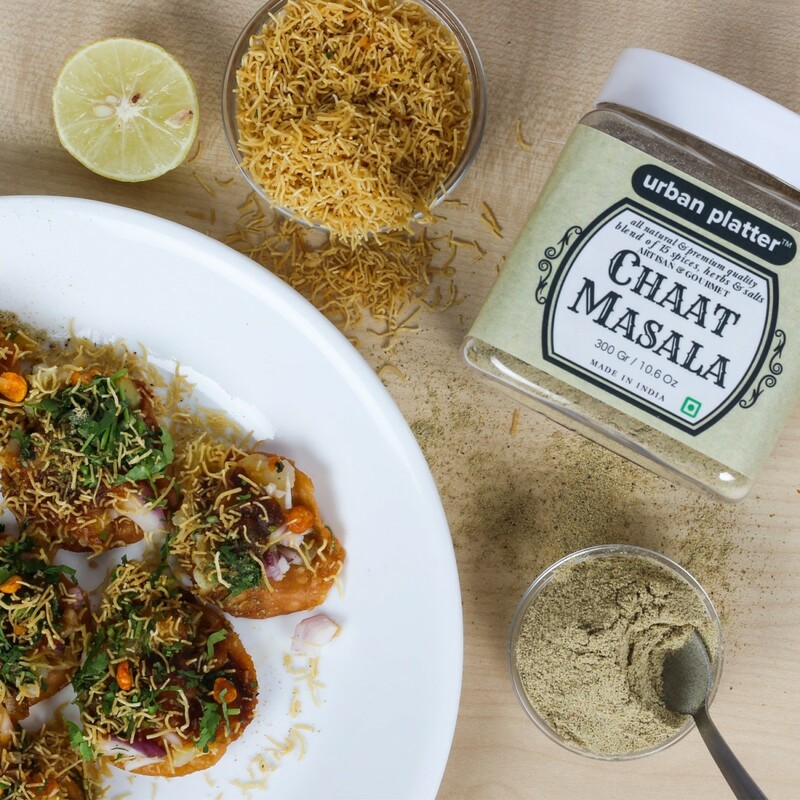 Chaat Masala literally means 'tangy spice'. 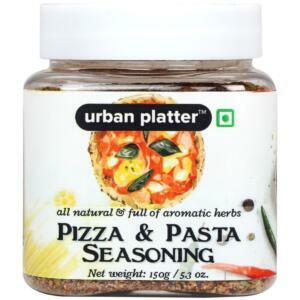 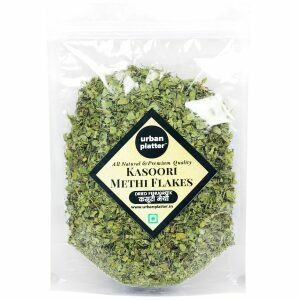 It is tangy blend of 15 spices, herbs and salts. 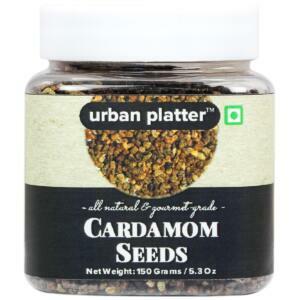 This savoury spice blend is frequently used in Indian Cuisine as a finishing sprinkle over chaats, parathas, salads, raitas, fruits and even some beverages. 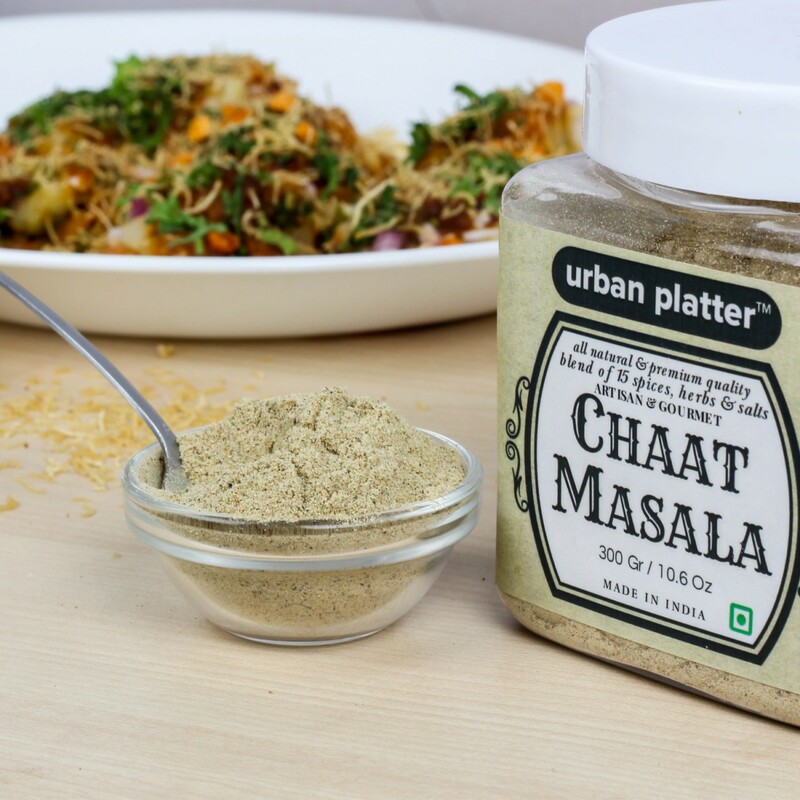 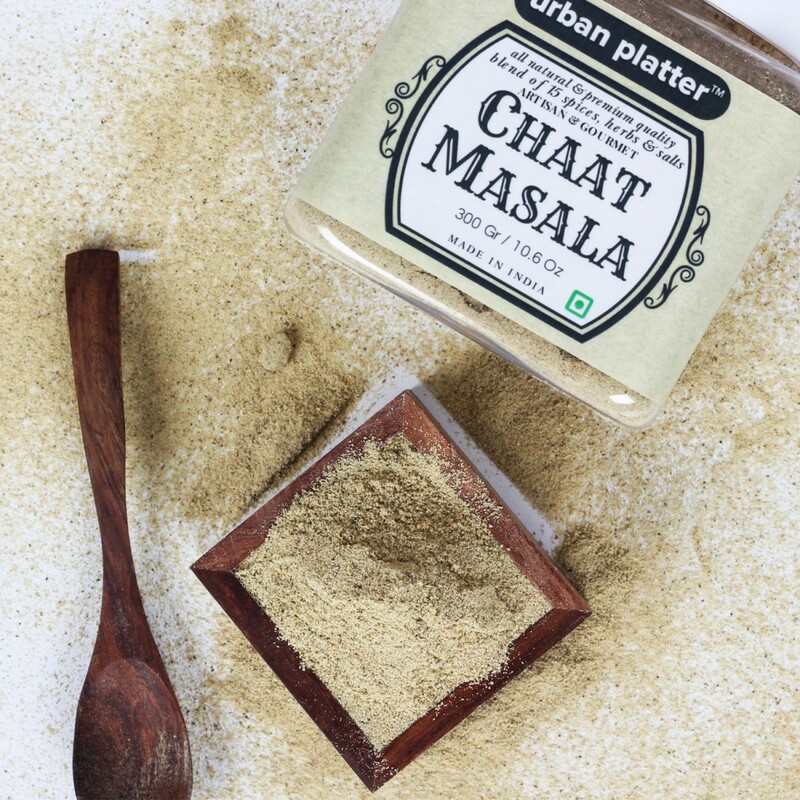 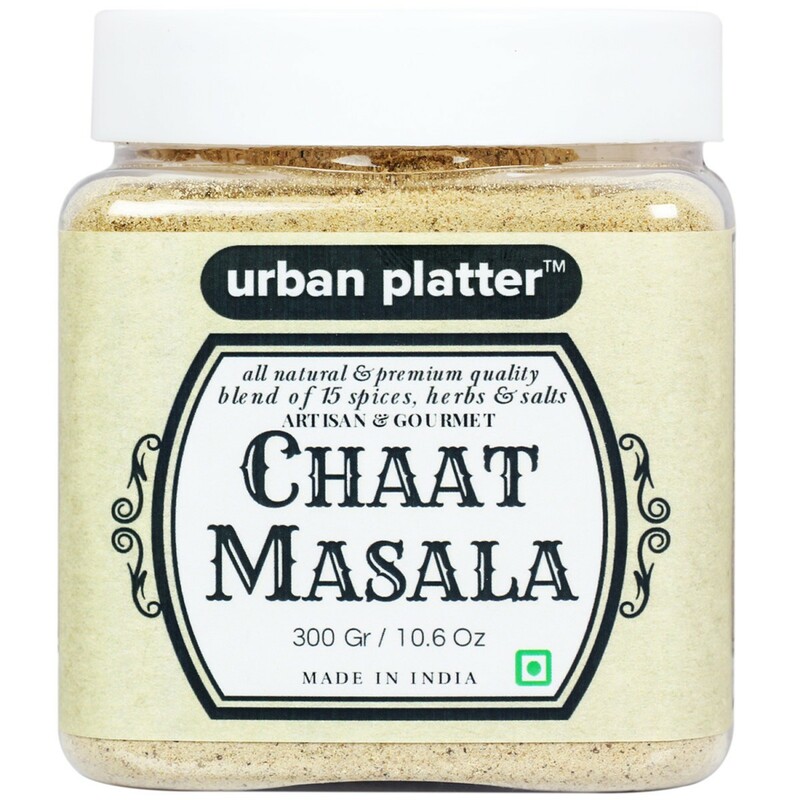 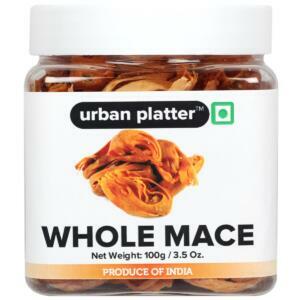 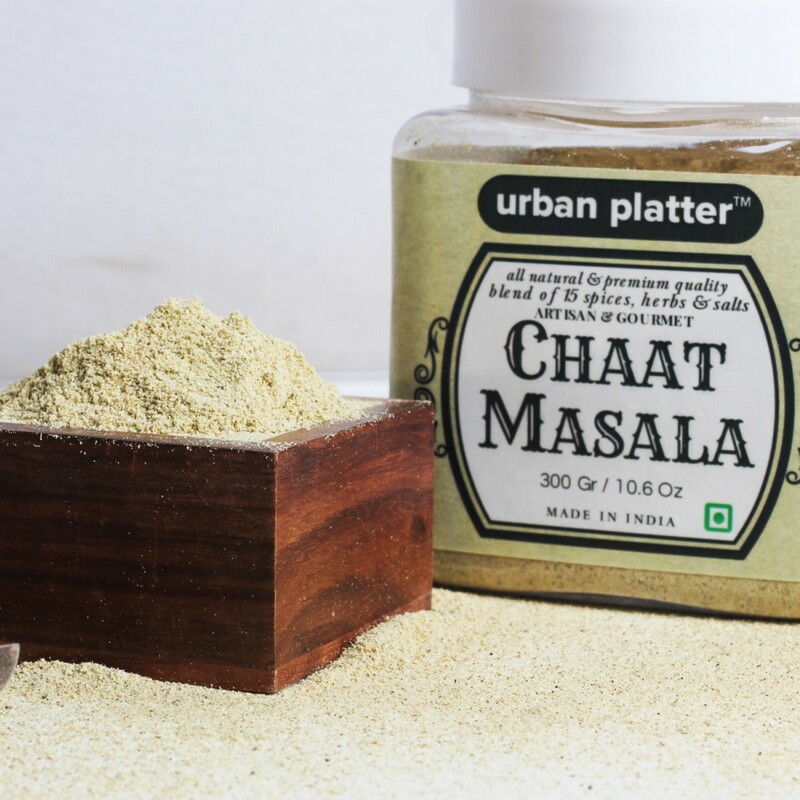 Our chaat masala has a strong aroma which draws one to any dish it is added to. 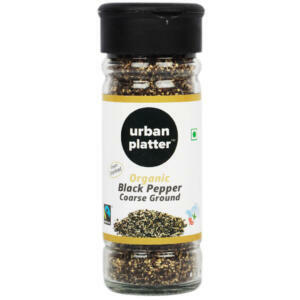 Not only is this a great flavour enhancer, this is an excellent digestive & appetite boosting blend. 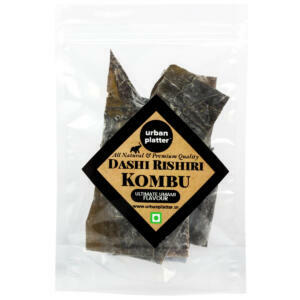 Made of everyday spices, combined smartly with pungent ingredients like black salt and amchur powder. 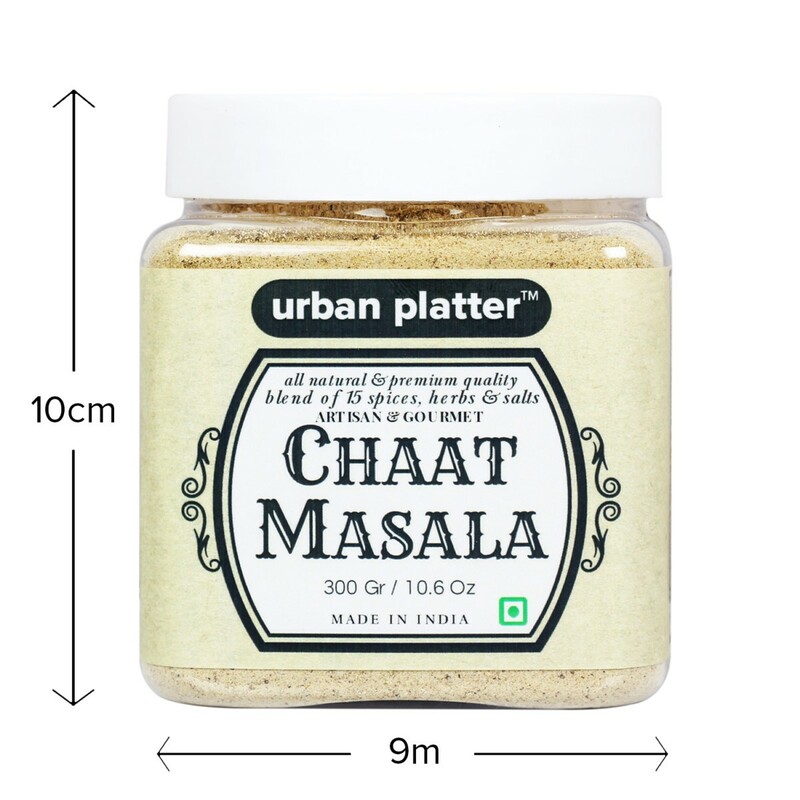 Chaat Masala literally means 'tangy spice'. 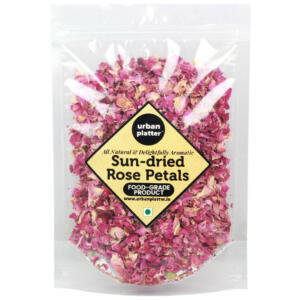 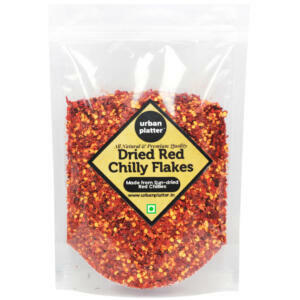 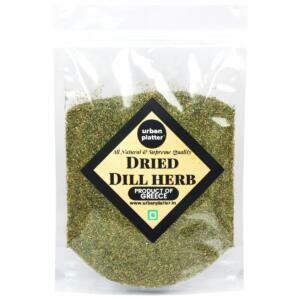 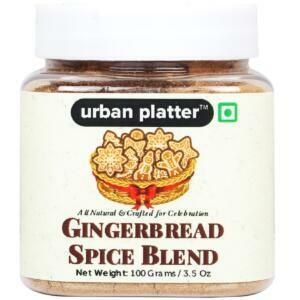 It is tangy blend of 15 spices, herbs and salts. 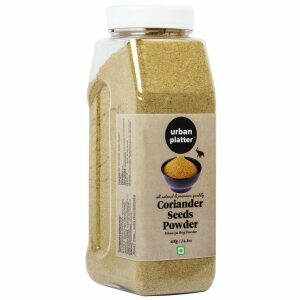 Contains Amchoor, Iodized Salt, Black Salt, Pomegranate Seed Powder, Cumin, Ginger, Black pepper, Coriander Seeds, Chilly, Ajwain, Kachini, Nutmeg, Cloves, Hing and Mint Leaf Powder.